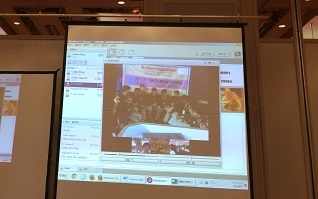 We had a video-conferencing with Iran, Armenia and Taiwan by connecting the conference site as the symposium of the United Nations World Conference on Disaster Reduction and a KOBE Earthquake 10th anniversary of commemorative project in Japan , January 18, 2005 . 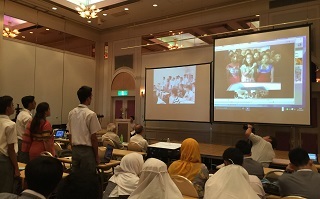 We had VC for Natural Disaster Youth Summit 2016 in NIIGATA. 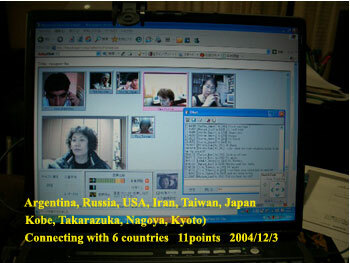 We connected 4 points including from India, Malaysia, Taiwan, KOBE from Japan. 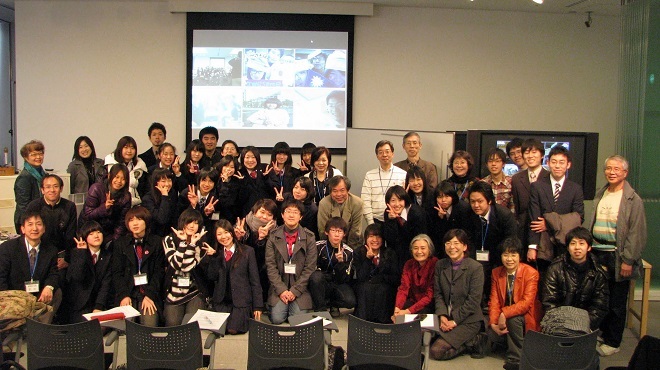 100 students and teachers from more than 10 countries and regions united together in Niigata to present their studies on natural disasters. 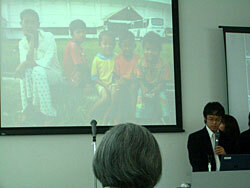 In India, Malaysia, Taiwan, Kobe, about 50 people shared their information. 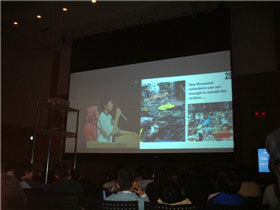 "Protecting Our Heritage from Earthquake"
Global Internet Video Conferencing was held at Disaster Reduction and Human Renovation Institute (The great Hanshin-Awaji Earthquake memorial museum, KOBE). 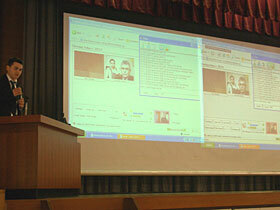 We had NDYS-Forum thorough the MeetingPlaza video conferencing system that could be meeting at many points. 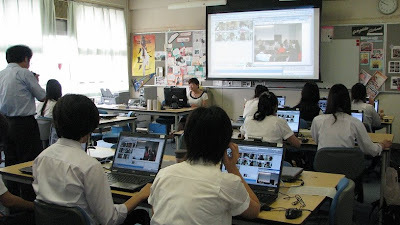 Kobe Fukiai High School 11 students joined 2010 iEARN Canada Conference through VC on 14th of July, Toronto. 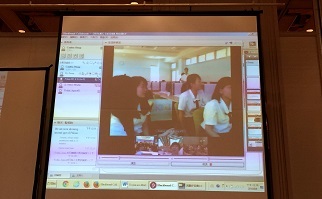 Each student had a camera and mike and joined VC from Fukiai HS. 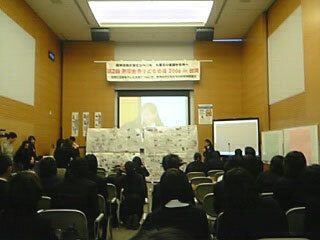 Taiwanese students showed us some photos and explained about it. We showed our safety map and explained about it. We had a good time. 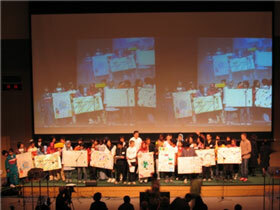 Thanks for Ms Cindy and all participants in iEARN-Canada conference. 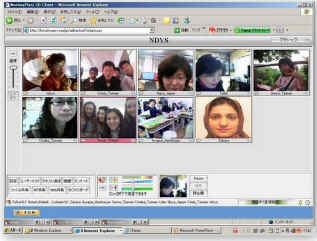 We had VC for NDYS 2010 Turkiye participants schools on June 25th. We connected 13 points including from Turkiye, 5 points from Taiwan, 3 points of Indonesia, one point from Macedonia and Pakistan , 2 points from Japan. We were glad to meet you in the VC. This VC was significant for all. Turkiye Team showed the answers to our questions. We are looking forward to seeing you in Bursa. 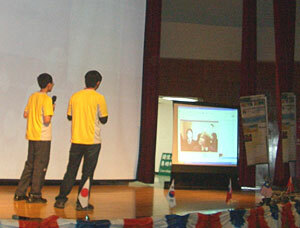 We greeted each other and NDYS-Kobe students from Japan introduced their project. We connected 9 points including Japan. 4 points from Taiwan, 2 points from Indonesia, one points from Iran and Pakistan. We are going to write our blog from today and we want you to know more about our Team. 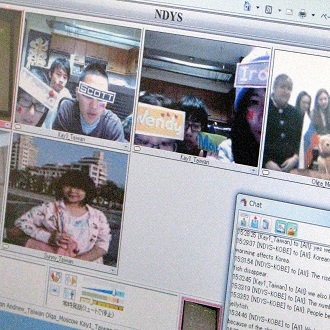 We will report about 2010NDYS Turkiye too on live. We are looking for your comments! 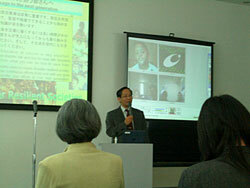 There are 25 students in Taiwan and 10 students in Indonesia. 13 students and 18 JEARN members at Osaka, Japan site. 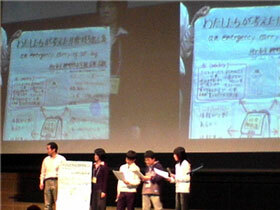 We greeted each other and students from Japan introduced our project. As Turkey members were visiting Istanbul for the meeting for NDYS conference. 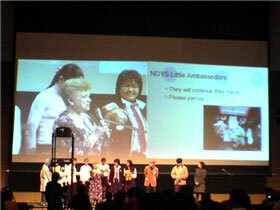 They could not join the VC, however, the invitation video was introduced to the participants in Japan. 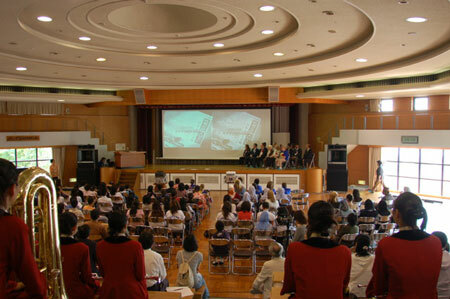 NDYS T・kiye 2010 was introduced to the citizens at the 2.nd Bursa Water Symposium, Turkiye on 23rd March. 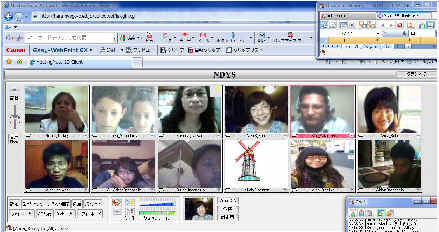 We had the video conference with the NDYS partner schools to say some messages for the water day online. 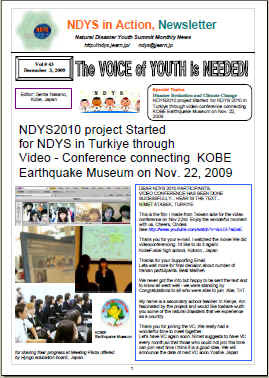 NDYS T・kiye 2010 was introduced by The NDYS (International Natural Disasters Youth Summit) Club. The program of the summit which will be held on 23- 29 August was announced by Uludağ University Faculty of Engineering Environmental Engineering students at. 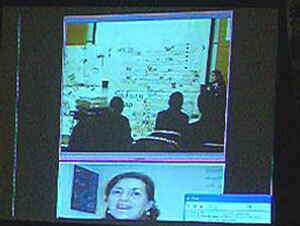 more..
We had the video conference with the NDYS partner schools to say some messages for the water day online. All of our messages are wonderful! This is the film Taiwan team made for our water save announcement. Share with you. 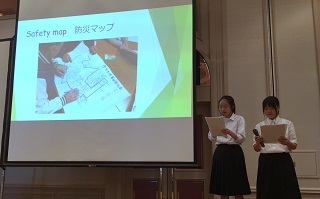 The students in FHSH ,Taiwan had an presentation for disaster risk education and we shared the Disaster Safety Map of their school’s surrounding areas. We connected Turkiye, Azerbaijan, Iran, Taiwan 3 points, and Japan 3points. So total is 9 points. 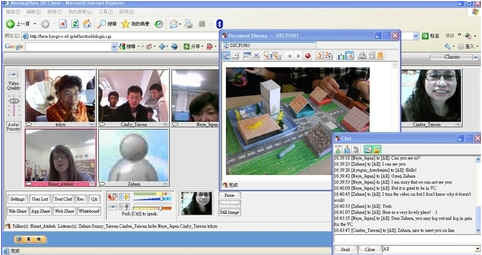 We had a video conference on 19th of February at 10:00 (Turkiye time). The students in FHSH ,Taiwan had an presentation for disaster risk education and we shared the Disaster Safety Map of their school’s surrounding areas. If all of NDYS students make the safety maps, we have a global disaster safety map that bring the whole world together. 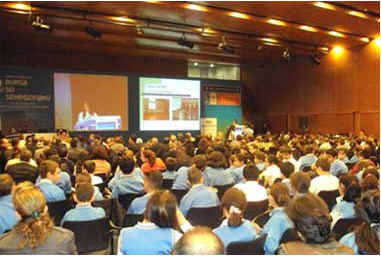 We are waiting for the presentations of your school's safety maps through the next video-conferencing. We had VC on 24th of January. 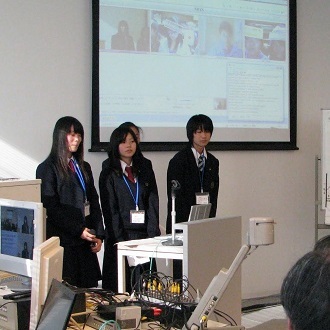 Let's share what we have learned about disaster reduction to each other through VC connecting KOBE Earthquake Museum! 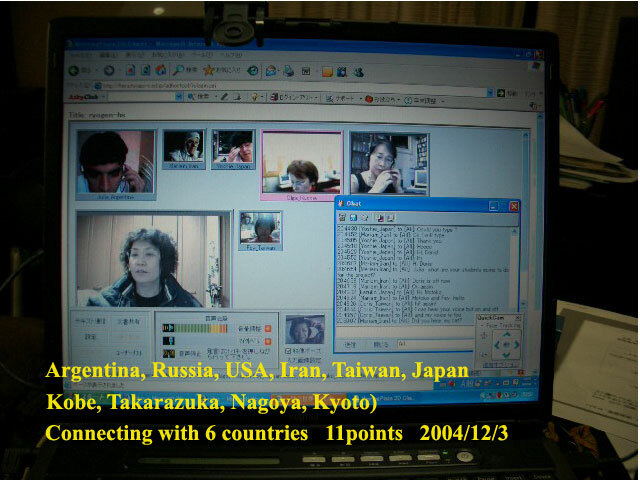 We connected Turkiye 2 points , Taiwan , Russia and Japan. So total is 5 points. These are some screenshots taken during the today's VC. We are happy to introduce the new interactive tool for collaboration to you. The name of the system is CoSMOS (Collaborative Safety Maps on Open System). With CosMOS. 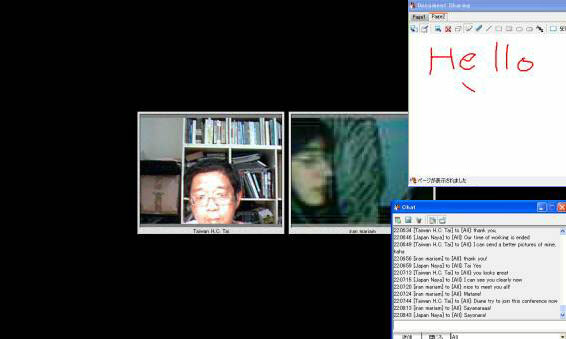 We had a video conference on 22nd of November at 9:00 (Turkiye time). We really had a wonderful time to meet together. 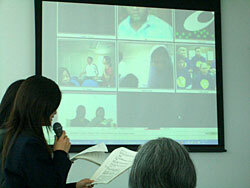 See the video from Taiwan side for the video conference. Let's have VC again soon. We connected Turkey , Taiwan , Iran and Trinidad and Tobago which are going to be held for the next conference and had discussions. 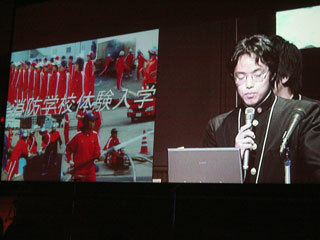 Video Conferencing " NDYS 2007 in KOBE "
Global Internet Video Conferencing was held at Disaster Reduction and Human Renovation Institute (HAT Kobe) as a prelude of the conference in Aichi. 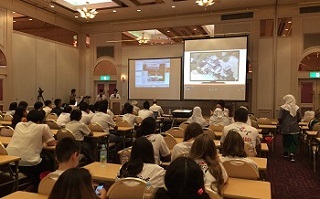 Five countries and regions, Iran, Taiwan, Russia, and Trinidad and Tobago are connected to Disaster Reduction and Human Renovation in Kobe through the Internet, and the group of children representing each country had an oral presentation for disaster risk education. 11 October was the INTERNATI0NAL DAY FOR DISASTERS REDUCTION! The connection was perfect. We had a wonderful time with children in New York. The national natural historical museum of NYC of time difference 13 hour and the video conference which connected the Kobe office actualized. Japan was nighttime, but encountering the smiling face of the many New York children, large deep emotion! Even in New York “safe map” making start ?? 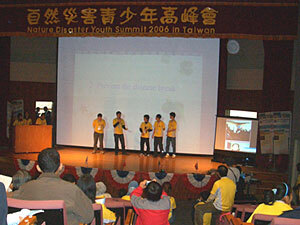 Second gathering of NDYS 2006 was held in Kaohsiung city in Taiwan from 6th to 8th of January 2006.There were more than 300 students and teachers get together from 6 countries. 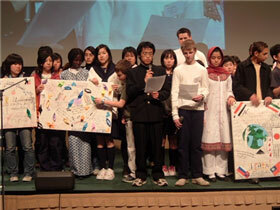 They are Taiwan, Malaysia, Iran, Trinidad and Tobago, Japan and special guest from Korea. 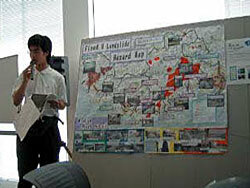 Each school exhibited its Disaster Safety Map on the corridor of National Science and Technology Museum. Students made presentations and had discussions. 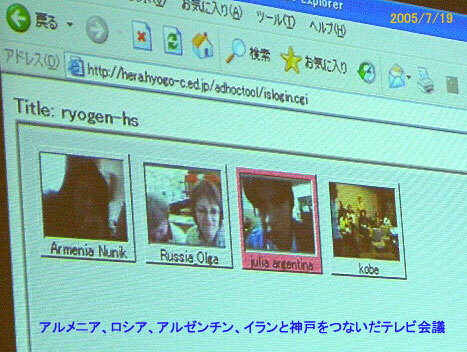 We linked Kobe as a satellite venue and had a video conference. 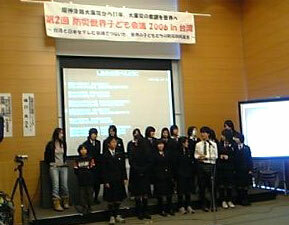 In Kobe, about 100 people get together to share their information. We enjoyed the video conferencing today. Let's have V/C soon again. NDYS 2006 officially starts today. 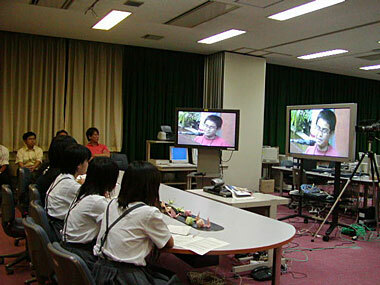 Let's have video conference several times,so that everyone can meet each other. We connected Japan and Dakar, workshop at iEARN conference in Senegal. We connected Armenia, Russia, Argentina and Iran. I really thank you for your collaboration. Julia mentioned Argentinian students behave very well. We really enjoyed talking with them. We were able to discuss some important issues concerning to NDYS. Anyway, THANK YOU VERY MUCH for today's meeting. 9:30 pm to 10:30 pm. time on 27th of May, Japan. Almost just 2 months after NDYS 2005! We were excited to talk to them. The differences make us realize how wonderful to live in this beautiful planet, Earth. 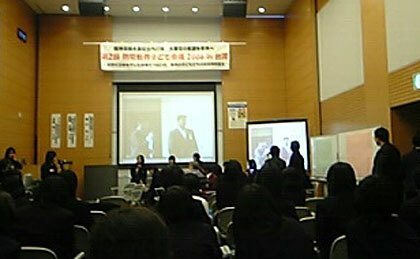 First gathering of NDYS 2005 was held in Hyogo Japan. 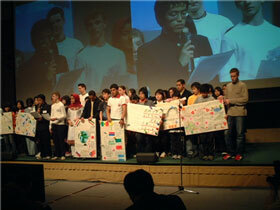 There were more than 450 students and teachers get together from 12 countries and regions. They are Argentina, Armenia, Egypt, Iran, Indonesia, Nepal, Russia, Senegal, Slovakia, Taiwan, USA and Japan. On the final day, They announced the summit declaration, which stresses the importance of "Try to feel, try to learn, try to share. We just the start of an exchange that will continue even after their return home. 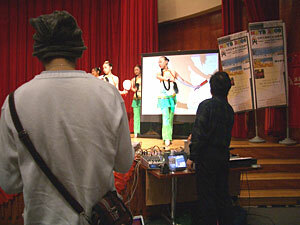 The conference was broadcasted globally by the Internet live streaming. 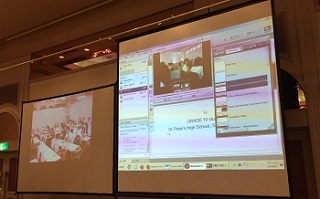 We also had a teleconference with Iran, Armenia and Taiwan by connecting the conference site and those three countries and regions. Directing to the January United Nations Public forum on Disaster Reduction and the international conference of March, they were the contents whose previous arrangement between the teacher of step 3 of project is main.